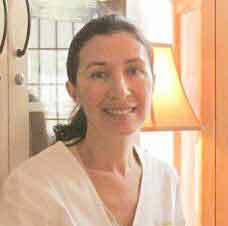 Galya Krigel, C.H.N.P., Hygiologist Nutritionist. Licensed and certified Dr. Hauschka skin care therapist. Galya has been a nutritional consultant for more than two decades, and spent years researching natural approaches to health and healing. She is a true artist when it comes to professional make-up application and is an avid advocate for holistic pet care. Galya has a positive and reassuring style that enables her to create a great connection with her clients. Her intuitive faculties often serve as an additional asset in developing individualized programs for her clients and, quite often, their pets! She continues to deepen her knowledge in holistic health and inspires her clients through education and support to achieve greater balance on all levels of their being.